Let’s go out and play. Previous post: Something to look forward to when traveling this holiday season. Next post: Islam as an expedient jobs program. 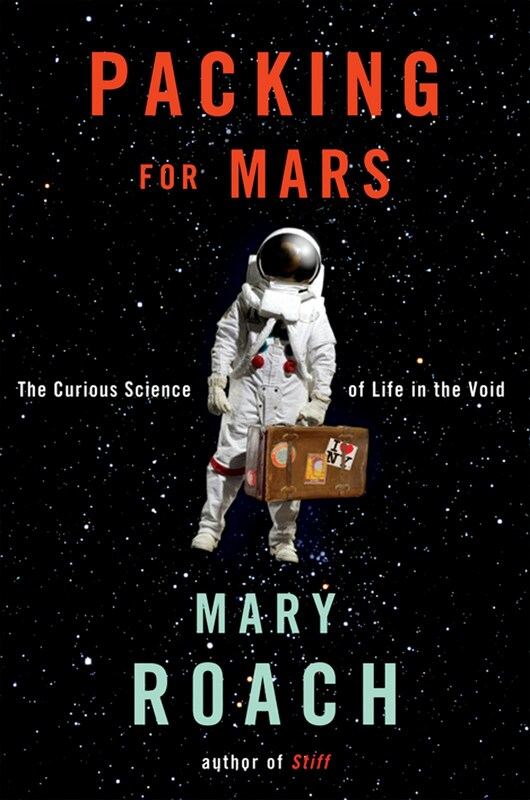 I’ve read a lot of first-hand accounts of the space race for research for my science fiction novels (now available as e-books, Second Star, A Handful of Stars and Red Planet Run, never miss an opportunity for self-promotion, that’s me), and I can say unequivocally that Roach is dead on about the sublime and the ridiculous. I’ll never forget the story of Gus Grissom absolutely refusing to take a dump the entire three days he was on orbit because he. would. not. poop. into a plastic bag and then massage stuff into the result and store it for the groundside docs to examine when he got home. I didn’t blame him one bit. The point is, though, that all the astronauts, Mercury, Apollo, Space Shuttle, would do anything and everything that was thrown at them no matter how idiotic just for the chance of getting into space. I don’t blame them for that, either. The nobility of the human spirit grows harder for me to believe in. War, zealotry, greed, malls, narcissism. I see a backhanded nobility in excessive, impractical outlays of cash prompted by nothing loftier than a species joining hands and saying “I bet we can do this.” Yes, the money could be better spent on Earth. But would it? Since when has money saved by government red-lining been spent on education and cancer research? It is always squandered. Let’s squander some on Mars. Let’s go out and play. *Roach does footnotes as well as Richard Holmes (The Age of Wonder and if you haven’t read it, you should). Sometimes I would turn the page, see a footnote, and read it first. Chariots for Apollo: The Making of the Lunar Module by Charles Pelligrino and Joshua Stoff. One of the funniest, smartest books you’ll ever read about the Apollo program, and would someone for crissake please bring it back into print already? Or at least Kindle it. Sheesh. Riding Rockets by Mike Mullane. Reviewed on this site here. Roach liked Mullane’s bio, too. Thanks, Dana, for sharing this book. I have some of Roach’s books on my TBR list (which now numbers in the hundreds and is rivaled only by the piles of books in my house), and this one is definitely one I want to read. I’ve always been fascinated with the space program. My Dad worked on the Mercury and Gemini programs and knew the first astronauts. It was such an exciting time. I used to get to stay home and watch the launches. I still can’t get enough of watching The Right Stuff and Apollo 13 and other great movies. I do hope our days of exploring have not ended. I believe the red planet deserves a visit. This looks very interesting. I found her book “Stiff” fascinating, and this seems to promise a siilar experience. You won’t be sorry, Jennifer, and Linda, this book sounds right out of your childhood. The Right Stuff is one of my top ten favorite films of all time. Roach is a fantastic writer. That’s the link I used to get a printed copy of Chariots for Apollo for a birthday gift this month. Your giftee will love you for it.